Before mats became the standard prop in yoga practice, the grass or even the ground was used as the surface on which to do yoga. Connecting to the elements was an essential reason for this. However, over time, additional padding became necessary as yoga postures became more advanced. Shiva is often depicted mediating on a tiger skin or wearing a tiger skin, with the tiger representing the mind. 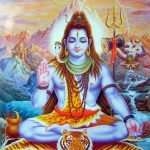 The forms of Shiva often represent a real demand for ego transcendence (release of one’s false identification with the body-mind). Deer skin was also used by ancient yogis as the deer represents the ever changing nature of mind – a deer wandering in nature in an elusive manner just as the mind bounces from one thought to the next. So, in ancient times, it was important to yogis and ascetics to sit on deer or tiger skins as a way to enhance a tranquil mind and deepen one’s awareness as well as for engaging in Hatha Yoga. Later on, as Hatha yoga became more popular as an exercise practice, practitioners started to use towels or cotton mats. However, this was very impractical because cotton towels on a wooden floor slip very easily. In more recent times, modern yoga mats were developed when practitioners of yoga clearly needed to have a more stable and “sticky” kind of mat. Unfortunately at first yoga mats were made from cheap plastic or with what is commonly known as PVC and further, to add insult to injury they were still very slippery. Yoga mats made of natural rubber then became the answer with their capability to grip better. They are more comfortable, as natural rubber is more cushiony and provides more resilience. Also, they are friendly to the earth making them an environmentally friendly yoga mat that people like myself really enjoy to own and use for yoga practice. 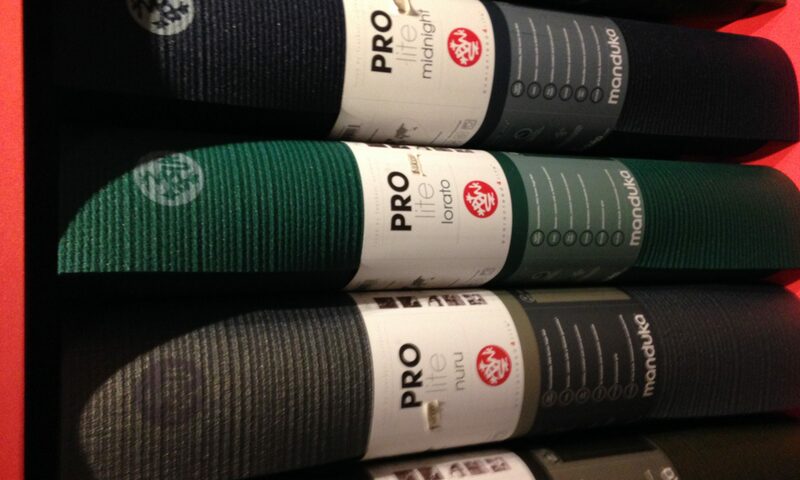 You can now even find yoga mats made from natural materials such as hemp and bamboo. If you would like to comment or have any question, please feel free to do so below. Excellent post I have been trying to get my wife started on yoga. Just didn’t know what to get or how to go about the whole situation. This is great and I will show this to her when she gets off in the morning. Thank you for this post and the in detail information. If I have any questions is it a certain email you want me to contact you on? Or will this work. Thank you for your comment and I am glad the information I provided is helpful. And yes, please write me back on the comments section or you can email me at lidia@womenyogajourney.com with any other questions. My Yoga mat is made out of rubber and it is starting to wear out after servicing me for almost 5 years. The grip is pretty poor and the center part has bits and pieces coming out. I will check out your Yoga mat recommendation and see what suits me. Meanwhile, I think you should check out this latest technology. It’s called Grippz Mats – an acupressure Yoga mat on Indiegogo. Yeah, Yoga plus acupressure therapy – how cool is that! It sounds like your mat definitely needs a replacement – it served you a long time, which means it must have been a really great quality made mat. Do check out the recommendations I posted on my site for your next mat and if you have any questions, do let me know please. Thanks for the info on the Grippz Mats – I will check it right now! I hope you find the mat you like.